At some time, maybe not all that long ago, someone coined a phrase, “…as easy as breathing.” Ever since then, we’ve used the phrase to describe how easy it is to, say, lie, learn, love someone, kill someone and everything in between. But is breathing all that easy all the time? Andre Michalak and Nicholas Michalak (CEO), the father and son co-founders of SomniFix, are concerned that we are not breathing properly while we sleep. Andre is a physician specializing in internal medicine. 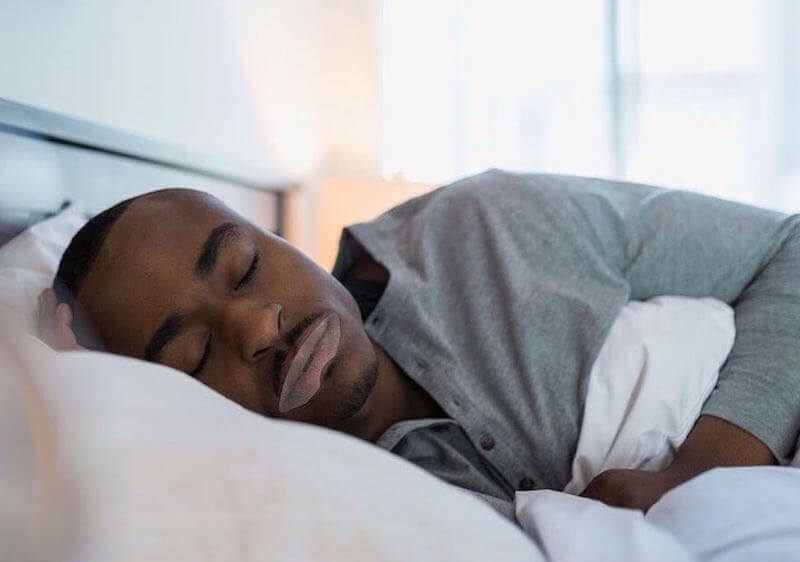 He created SomniFix Mouth Strips in response to his patients suffering from the effects of not breathing through the nose while asleep and in an effort to cure his own chronic snoring. The patented Mouth Strips improve sleep quality, reduce snoring and facilitate the use of a Continuous Positive Airway Pressure (CPAP) for those being treated for obstructive sleep apnea. The strips gently hold the lips together with a hypoallergenic adhesive to support the mandible (jaw) and tongue. When jaw muscles are weak (or we have grown multiple chins), the mouth opens while we are asleep, and then we breathe through the mouth, which causes the tongue to fall backward and obstruct the top of the respiratory airway, disrupting breathing through the nose. Humans were designed to breathe through our noses. When we breathe through the mouth, we inhale and exhale too much air, resulting in chronic hyperventilation and an imbalance in the carbon dioxide-oxygen exchange. The brain produces mucus to slow down our breathing, and the mucus congests our nasal passages. We are then unable to breathe through the nose. In addition to preventing hyperventilation, breathing through the nose also filters out those airborne particles of gosh-knows-what—nothing good, that’s for sure. The nose also warms and humidifies inhaled air, optimizing the carbon dioxide-oxygen exchange so that the oxygen in our blood is used efficiently. With the strips, the mouth remains closed during sleep. The tongue rests against the roof of the mouth, jaw stays in place, and there is a clear passage for breathing. Unlike many “mouth tapes” on the market, Mouth Strips are easy to apply and comfortable to wear. Also, the strips are made with hypoallergenic materials. Suppose you are a bit wary about your lips being sealed while you sleep. All you need to do is open your lips to break the seal without leaving residue behind. For users who prefer knowing they can breathe through their mouths if necessary, there is a small central vent that allows limited mouth breathing by regulating the cadence. It also has a mesh layer that acts as a filter for those airborne particles. Relax the body and mind, much the same as meditation and massage do, to achieve and maintain a deep sleep. Increase the production of nitric oxide, which, among other benefits, kills bacteria in airborne particles and dilates blood vessels, raising blood supply and lowering blood pressure. Prevent conditions such as dry mouth, sore throat or nasal congestion. Andre and Nicholas, always conscious of protecting the environment, made all of the contents of the package and the package itself recyclable.